This one of a kind necklace and earrings set features high grade aquamarine beads and pendants. 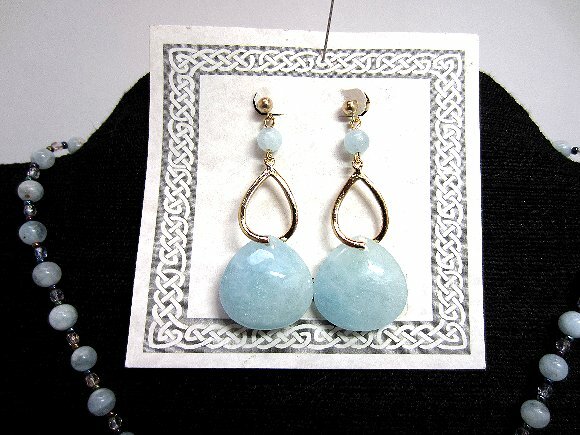 The earrings feature rounded puffed aquamarine teardrops that dangle about 2-1/4" from their 14kt gold fill post findings. The necklace pendant is a longer, slimmer puffed drop than the drops in the earrings. 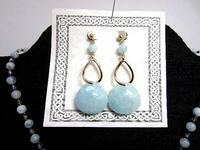 It ends about 2-1/2" below the 20-1/2" strand of aquamarine and glass beads. The 'S' hook clasp and graceful bails are gold plated brass. 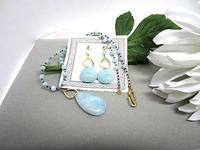 In addition to being the traditional birthstone for March, aquamarine is also associated with the astrological sign Pisces, and is the traditional symbol of the 19th wedding anniversary. 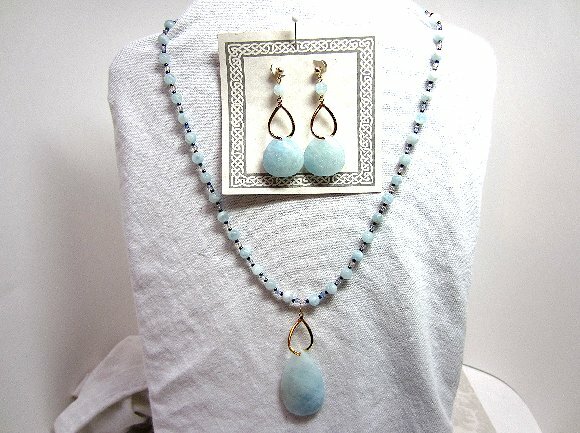 This necklace and earrings set would make a fabulous gift to celebrate any occasion. 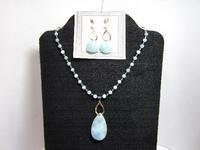 It's a beautiful quality jewelry set from SPARKLE PLENTY.